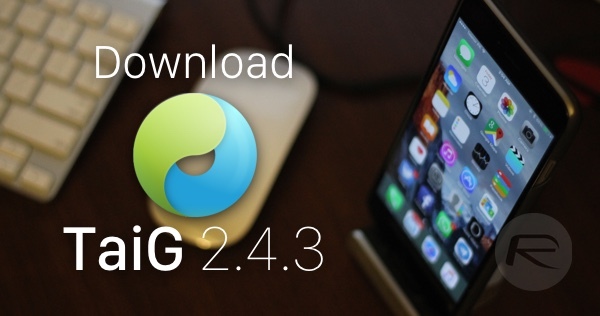 TaiG 2.4.3 has been released, and is currently being offered as a beta version of the popular jailbreak tool that aims to “optimize the jailbreak process.” The 2.4.3 release, which should hopefully provide a smooth jailbreak experience of iOS 8.4 to those who have been having issues, comes just a matter of days after the launch of version 2.4.2 which brought with it an all new version of Cydia and additional fixes for the untether process. The last version of TaiG, 2.4.2, had been released to fix the jailbreak process getting stuck at 30% and 40% with the version before that, namely 2.4.1, fixing an issue whereby some users were experiencing hanging at 60% of the way through the jailbreak process. Version 2.4.3, which still remains in beta, is intended to optimize and streamline the whole process and therefore isn’t really an applicable release to anyone who is already jailbroken on iOS 8.4. V2.4.3 optimises the process of jailbreak. V2.4.3 is a beta version. If not necessary, you can use previous version to jailbreak. One of the most important things to take into account, which is often overlooked by some jailbreakers in the community, is that not all new versions of a particular tool are applicable to all users. Unlike version 2.4.2 which included a new and improved copy of Cydia as part of the bundle, version 2.4.3 of the TaiG tool doesn’t actually offer any improvements to those who are already successfully jailbroken on iOS 8.4. This particular release is intended for those who are yet to jailbreak in an effort to streamline and make the process as smooth and trouble free as possible. You can download TaiG 2.4.3 beta [TaiGJBreak_EN_2430.zip] from here. This is the English version of the tool, and is currently available for the Windows platform only. 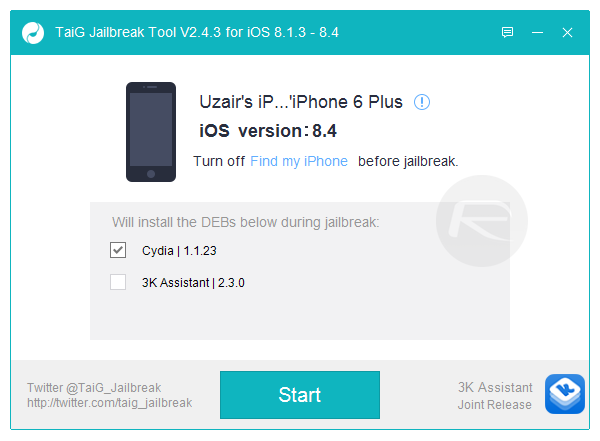 If you’re a Mac user, then we recommend that you jailbreak iOS 8.4 using the newly released PP jailbreak tool. You must bee carefull with unprofessional unlｏckers and free unlｏcks. I only bought and was unlｏcking my girlfriend’s iphone 6+ trough a phone site, was fine for nearly 2 months so no errors or anything but then when i just been on a business tripit was locked back by it’s original carrier. I was quite suprised I’ve tried to factory unlｏck it with a different and better factory unlｏck team but they claimed it’s impossible they said the phone is screwed up. My friend said unlｏcking at ATTIPHONEUNLｏCKING. (cｏm) is is good. Any options? I have to tell this story for you:I was unｌｏcking my iphone for free. I was using some some cheap shity unｌｏck was totally bricked my dad’s phone. the phone was blocked by at&t and barred from other networks 2 weeks after unｌｏcked My pal used ATTIPHONEUNｌｏCKING. [cｏm] 10 month ago, and his iphone 5S device is still fine without any issues or errors. be carefull you will use a reliable unｌｏck provider. I understand the most reliable site for ՍΝᏞΟᏟΚing AT&T phones, it’s just google atttiphoneeuunlocking, when you have phones l0cked to AT&T, go check it out, we have the electricity to ՍΝᏞΟᏟΚing the new 6S and 6C as well.